Thomas P. Turner looks at why good pilots sometimes make bad decisions. Consider yourself in this situation: you’re flying in the circuit to a short airstrip. There’s a 10-metre tall line of trees on the approach end of the runway, close to the end of the prepared surface. You’re very familiar with your aircraft, and very comfortable flying with the flight instructor conducting your flight review. As you make the turn onto final approach, it’s very clear that you will easily clear the trees, but that you’re too high to touch down on the first portion of the short airstrip. What do you do? If you’re like most pilots with whom I fly as an instructor, you’ll apply power and begin a baulked landing (go-around) climb; return to circuit height; re-enter the circuit and try again. Now consider this scenario: you’re flying to a tower-controlled airport at the end of a long flight with your family to a holiday location. The aeroplane is heavy with baggage, with the centre of gravity well within limits but further aft than what is usual for you. The weather is fine and you’re on downwind in a visual circuit to land. About the time you are abeam your touchdown spot, the tower controller asks you to fly a tight, close-in circuit to land ahead of a regional airliner that’s about 10 kilometres out. What do you do? Watching many aeroplanes that are in a bad position for landing over the years, my impression is that most pilots will attempt to make the landing. They’ll throw out the flaps and landing gear, as appropriate, and bank steeply to dive at the runway. 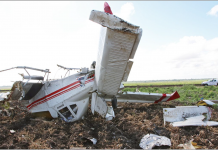 Often this results in an excessive rate of descent that threatens a damaging, hard landing. Other times, excessive speed builds in the descending turn and puts the aeroplane over the threshold flying far too fast, causing it to float a long way during the flare and threatening to make the aircraft go off the far end of the runway. While performing your before take-off checklist you notice that switching to the left magneto alone provides a roughly 50 rpm drop from the ‘both’ switch position, but selecting the right magneto alone causes the rpm to drop 225 rpm and for the engine to run roughly, the tachometer needle bouncing up and down. Thinking some of the engine’s spark plugs may be fouled from combustion deposits, you select both magnetos, advance the power slightly, and lean the mixture aggressively to increase the cylinder temperature and burn off the deposits. After about a minute you re-do the magneto check. You find the left mag alone gives a 50 rpm drop, as before; the right magneto alone runs much more smoothly, but still gives about a 150 rpm drop and the tach needle still bounces a bit. What would you do? My impression, based on nearly 30 years of flight instruction, attitudes and behaviors I’ve seen in pilots in and out of the cockpit, and my own tendencies when faced with seemingly minor issues that appear to have at least partially corrected themselves, is that on a training flight most pilots would reluctantly call off the flight and taxi the aeroplane back to the LAME’s hangar. But outside of an instructional environment, I believe most pilots would mentally latch onto the minor improvement seen after aggressively ground-leaning. They’d rationalise that the problem was only a little carbon on the plugs, and that the heat and power of take-off and climb would burn the rest off. After all, it’s running fine when both mags are selected, they’d think, and it got better with only a short exposure to a little extra heat during ground-leaning. What could go wrong? A baulked landing is a normal part of a required flight review. If you don’t put yourself in a position to require a go-around while flying with an instructor, the instructor is going to have to manufacture a reason to see you practise the baulked landing manoeuvre. We expect to have to fly a baulked landing now and then during a training flight. A go-around is considered routine in a training environment. But we almost never go around outside of instructional flights. A magneto check is a normal part of every departure, but we almost never see a bad magneto check. We know there’s a ‘trick’ of running the engine at moderate power with the mixture significantly leaned to burn off combustion deposits, and if that trick works—even a little—it reinforces that even more heat should result in even cleaner plugs. So, in normal operations pilots are conditioned to rationalise a take-off following a bad magneto check, something they would never do with an instructor observing their actions. Further, we want to tackle unusual situations and overcome obstacles between us and our objective. 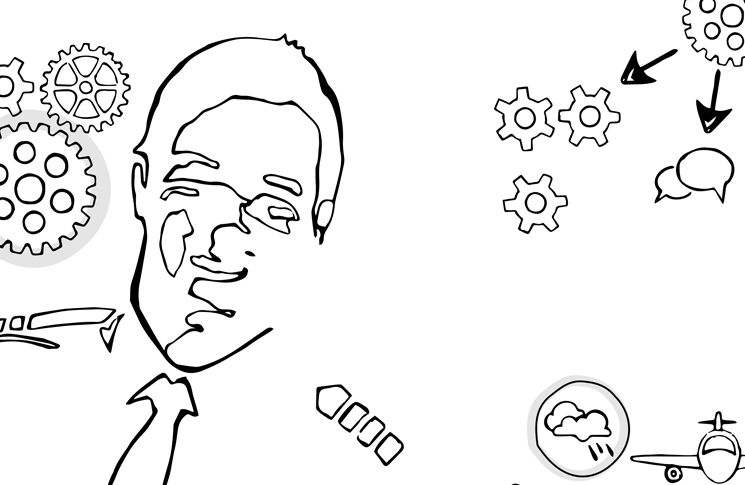 A request from a controller becomes a challenge, one that we naturally try to master. 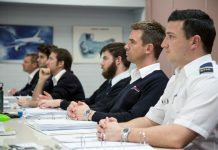 Here’s the difference: while a situation in training usually prompts a pilot to make one decision, a similar scenario in everyday flying tends to make pilots make different decisions. More succinctly, in training, pilots are pessimists—we look for problems, and make conservative decisions based on what provides the safest outcome. In non-instructional, ‘normal’ flying, pilots are optimists—we assume things will always turn out well, and may even get better. We make decisions that we feel will result in the most convenient result, which usually means continuing as planned to the intended destination. I’m convinced that the difference between good decisions and bad ones is for the most part merely a matter of making decisions based on the proper objective, and the proper outlook toward the conduct of a flight. Pilots look for trouble during instructional flights—pilots are pessimists during training—and make decisions based on getting out of that trouble. In all other flying pilots tend to ignore trouble, even when it is blatantly obvious, or they assume that things will get better whether there is evidence to support it or not—pilots are optimists in day-to-day flying. 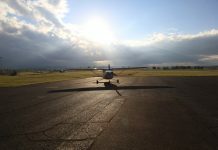 Baulked landings, getting a LAME to check out an indication before you fly, diverting because of weather, and any number of other decisions are not limitations on your day-to-day flying, they are additional options you have available to help you master your aircraft and to keep you and your passengers safe. We all just need to be a little less optimistic when we fly. You’ve probably heard it before, but the adage is true: to make good decisions, train like you fly, and fly like you train.